A. Wrapping cedar shrubs with burlap is an effective way to keep deer and moose at bay, but it can also be hard on shrubs. Another option is to surround trees and shrubs with temporary snow fencing. While this may not be the prettiest solution, it does seem to work. One resource suggests using 5-cm (2-inch) wooden stakes, about 1.0 m to 1.5 m high, to surround the trees. Place them far enough out so deer can’t reach the branches. Take into account the height of the snow when choosing the height of your stakes. If you’re in an area of heavy snowfall, you might want to make them taller. 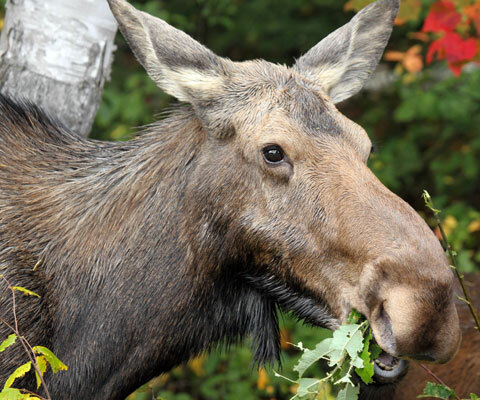 These same methods should also work for moose, but don’t forget to boost the height of your fences since moose are taller.